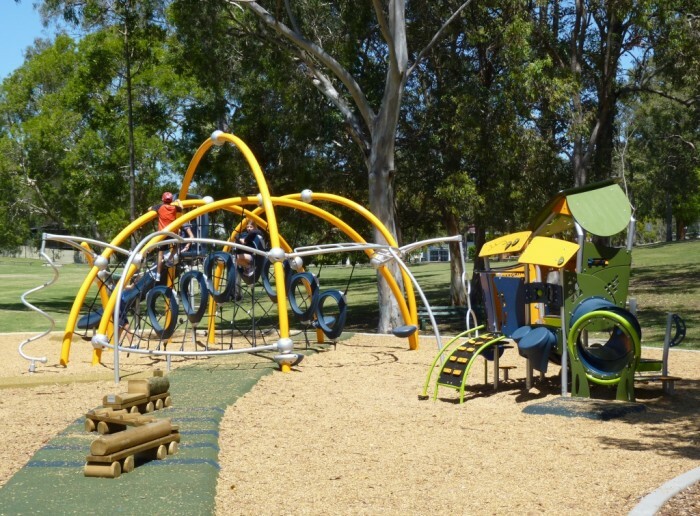 With the local Councillor wanting something SPECTACULAR, the brief for Heiner Park also called for rubber softfall and access pads to create a playspace and meeting place that could be utilised by all members of the community – regardless of their ability. 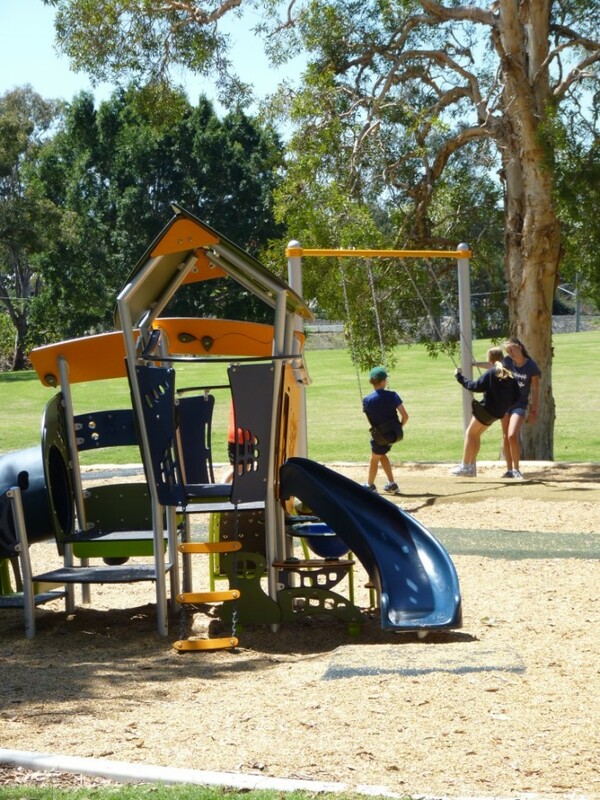 Exceeding the initial brief from a design perspective, we were asked to design and construct the entire park to create a space that would later enable the addition of paths, seating and infrastructure as funds became available. 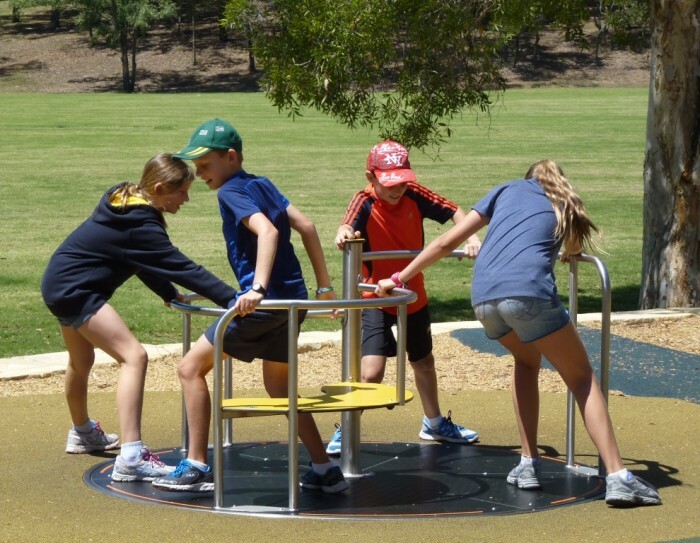 Our innovative Evos system was identified for its All Abilities inclusive access as well as its ability to challenge and engage a large number of children in its varied activities. 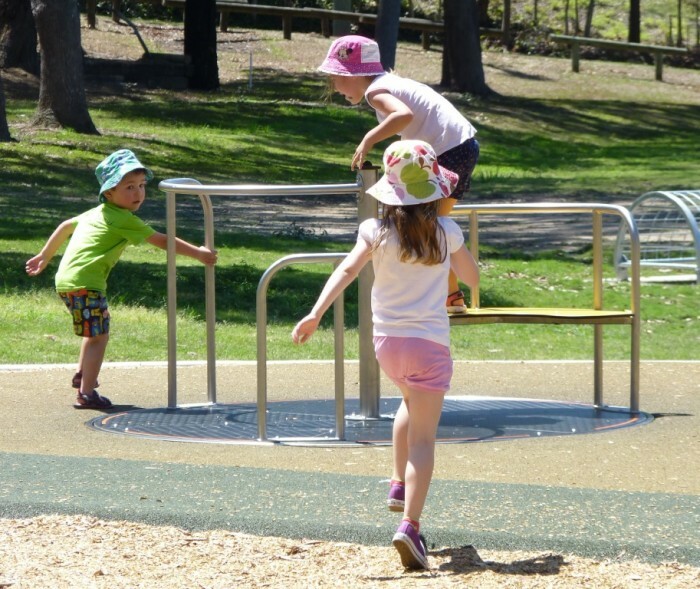 And the Smart Play Motion, packed with activities, will stimulate younger children and promote sensory, physical and mental development. 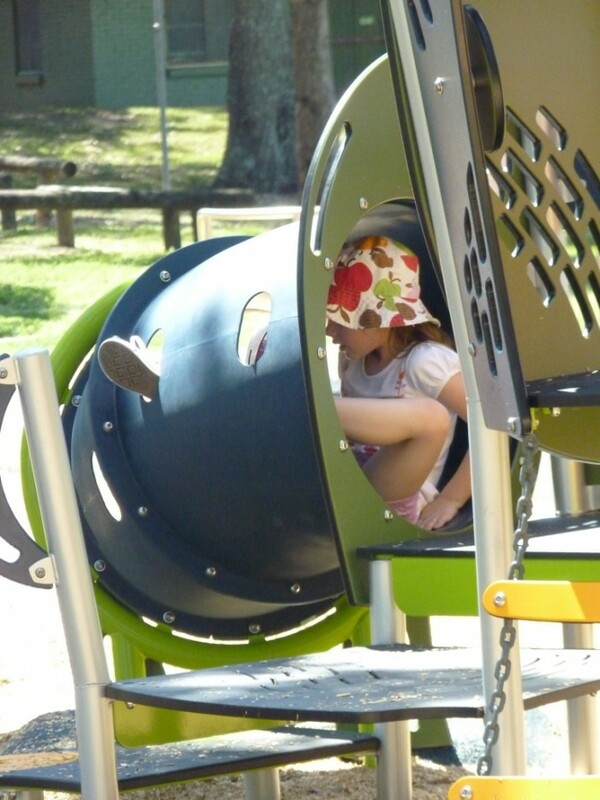 A multi age design offering such varied play opportunities, and perfect for the “after school” play to burn off energy before heading home! 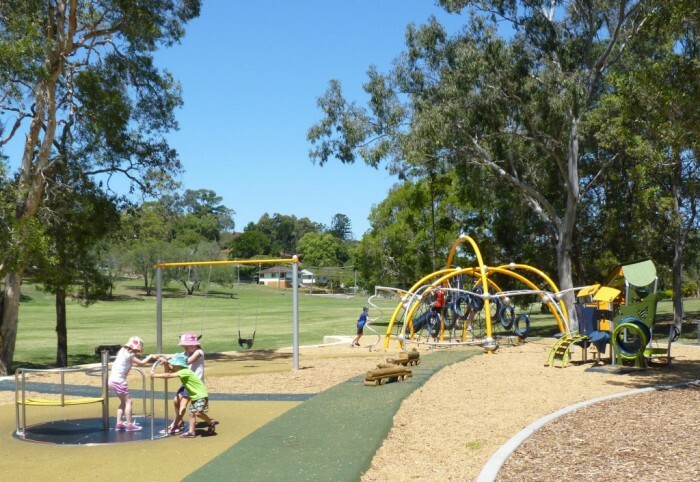 With the playground situated slightly up the hill adjacent to an open field cricket pitch, we incorporated informal seating for the cricket match in the form of large sandstone blocks, which doubled as retaining for the playground and an aesthetic complement to the space. 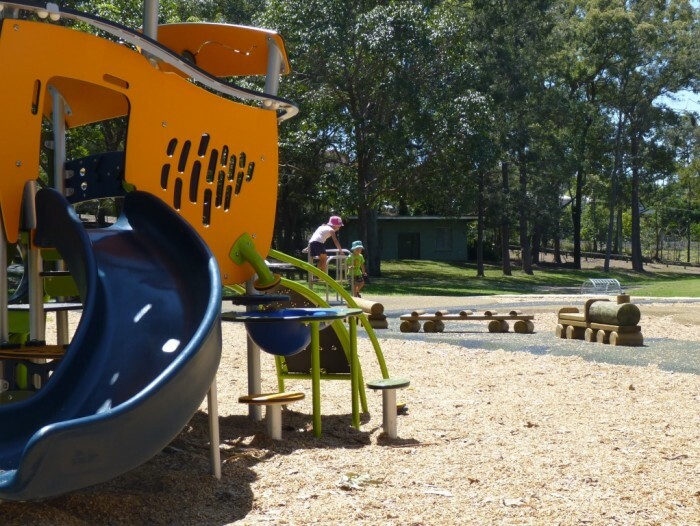 A beautiful leaf shape was revealed in the plan, with a central spine of rubber, creating the perfect base for the All Abilities Accessible Playground. 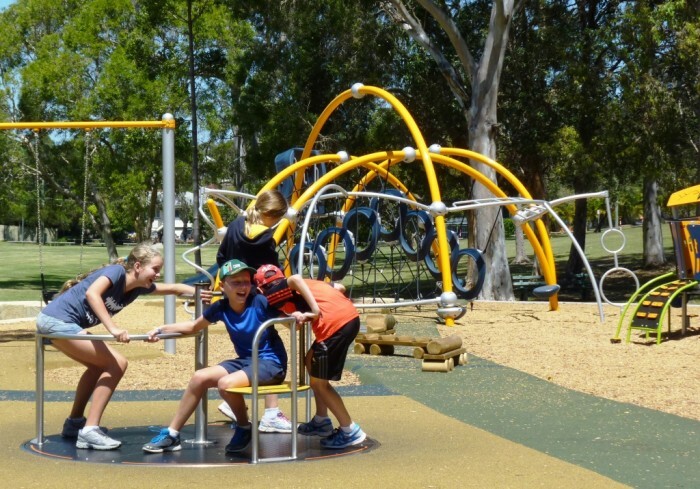 The rubber pathway was designed to allow wheelchair access to the Evos system, swing and Inclusive Orbit – designed especially to allow a wheelchair bound person the joy of a spinning sensation, and inclusive interaction with friends. 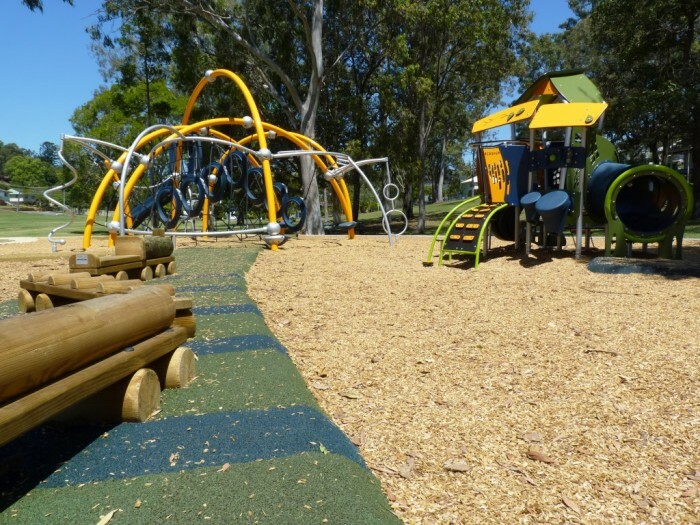 The pathway also offers a clean and easy route for mothers with prams to navigate through the playground. 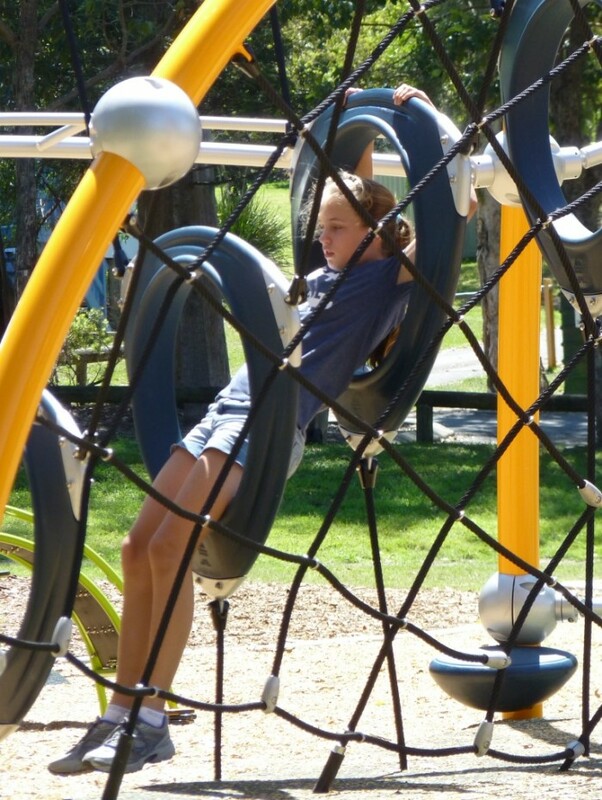 It truly is a SPECTACULAR park! 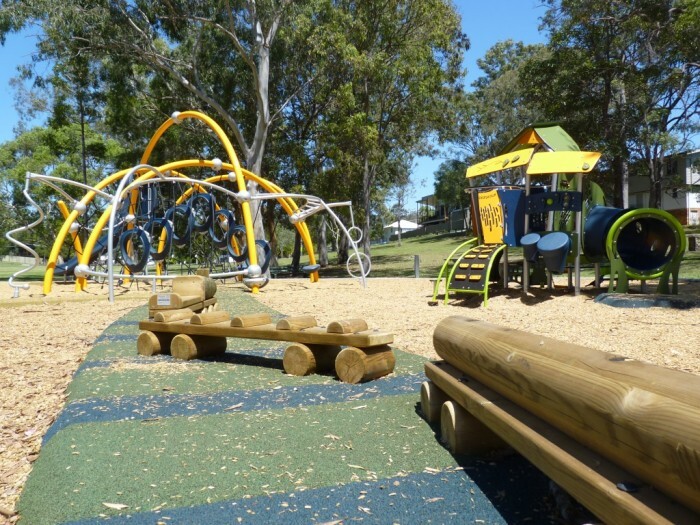 The colours, the multitude of play features, the toddler play area, challenge and access for parents and grandparents – all beautifully set into the hillside and easily visible from all sides. 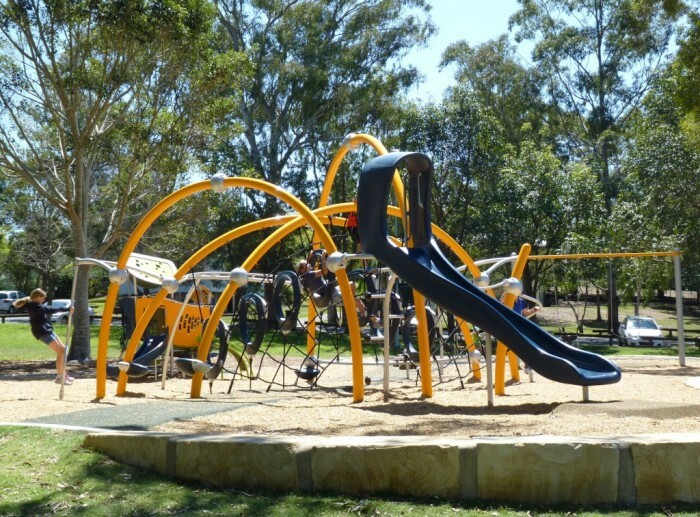 The residents of Keperra now have a park to be proud of. 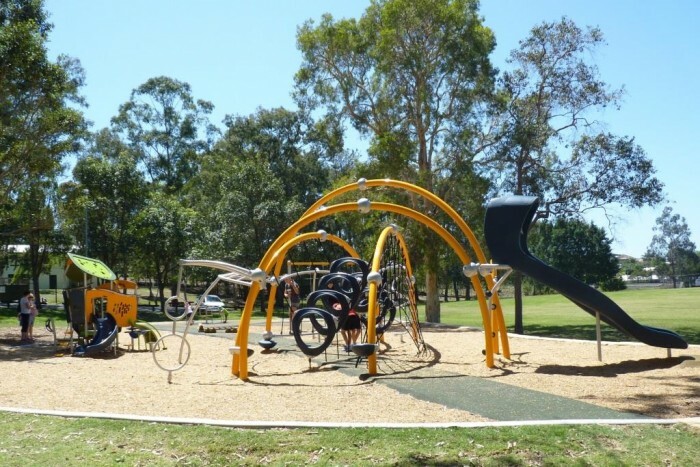 Great job Brisbane City Council! 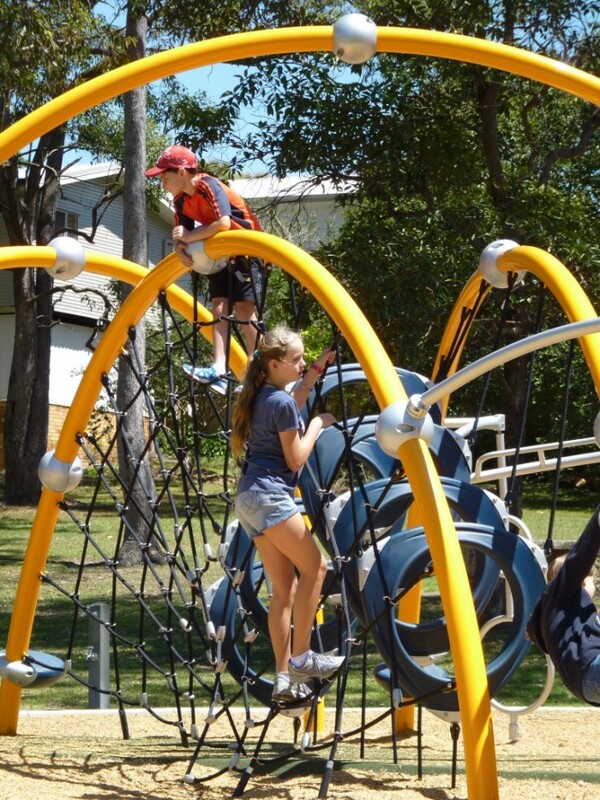 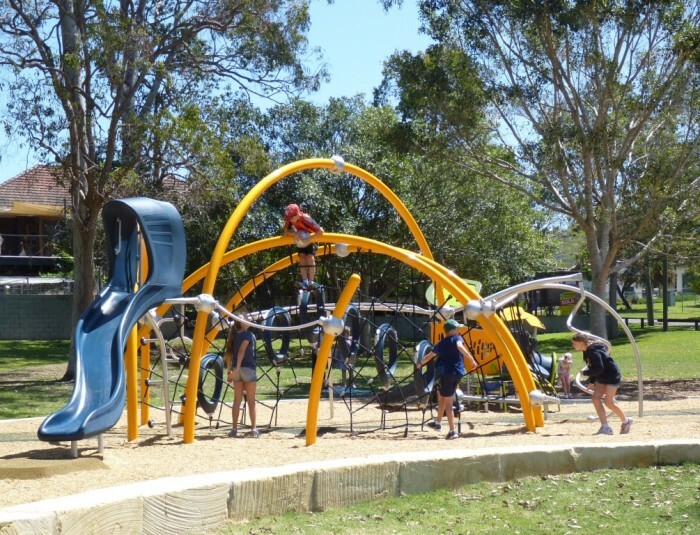 PS – an update on the popularity of the park was received from the Editor at Families Magazine Brisbane – a Heiner Park thank you – and I hope it encourages many families to enjoy this great playspace!